Shop online for 186 nce model trains at discounts up to 39%. 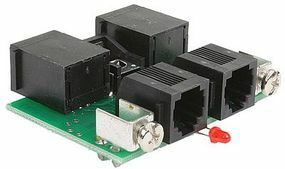 This is the Power Cab Starter Set with 110/240V US Model Railroad Power Supply by NCE Corporation. This is the UTP Panel Cab Bus Fascia Panel w/RJ12 Plugs Model Train Decoder by NCE Corporation. 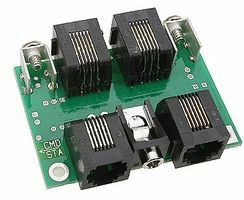 This is the CP6 6 Zone DCC Circuit Protector Model Railroad Electrical Accessory by NCE Corporation. This is the EB1 Single Electronic Circuit Breaker Model Railroad Electrical Accessory by NCE Corporation. This is the UTP-CAT5 Cab Bus Fascia Panel with CAT5 Rear Connections Model Railroad Electrical Accessory by NCE Corporation. This is the BD20 Block Detector Model Train Decoder by NCE Corporation. This is the Mk2 Accessory Decoder Controls 8 Tortoise Switch Model Railroad Electrical Accessory by NCE Corporation. This is the RJ12-12 6 Wire Straight Cab Bus Cable Model Railroad Electrical Accessory by NCE Corporation. This is the SwitchIt Mk2 Accessory Decoder, Controls 2 Tortoise Switch Machines Model Railroad Electrical Accessory Transformer by NCE Corporation. This is the Track Bus Taps Blue (64) Model Railroad Electrical Accessory by NCE Corporation. This is the CoilcordRJ A 7 Foot Coiled Cable for Cabs Electrical Accessory by NCE Corporation. This is the P515, Power supply for PH-Pro, 15v AC, 5 Amp. Model Railroad Power Supply by NCE Corporation. 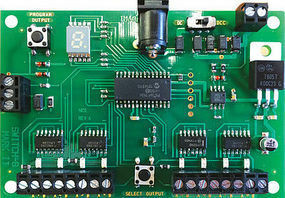 This is the N12A0 Plug and Play decoder for N Scale Atlas Model Railroad Decoder in N Scale by NCE Corporation. 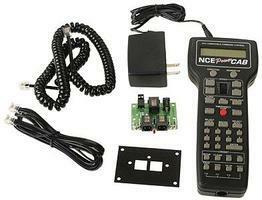 This is the Snap-It twin Coil Accessory Decoder Model Railroad Decoder in Any Scale by NCE Corporation. This is the PCP Spare Power Cab Connection Panel Model Railroad Electrical Accessory by NCE Corporation. 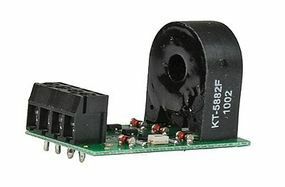 This is the Switch Kat Accessory Decoder for Kato and LGB Turnouts Model Railroad Decoder in Any Scale by NCE Corporation. This is the Auto-Switch Automatic Program Track for Power Cab Model Railroad Electrical Accessory by NCE Corporation. This is the Cab06 Engineer Cab with LED Display Model Railroad Power Supply by NCE Corporation. 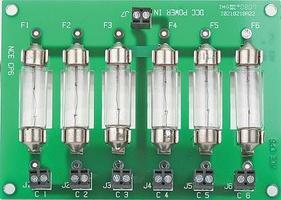 This is the D808 decoder 8 Amp, 8 Functions Model Railroad Decoder in G Scale by NCE Corporation.